Off Road NZ is set on 135 acres of farmland. Thirty-five acres of this land is used for farming and the other 100 acres is for you and us to play on! Back in the early 1900s the area Off Road NZ is set on, was used by logging pioneers. Pioneers in the area logged out native timbers such as rimu and totara, until closing up in the 1970s. The tracks that the pioneers used back then are the same tracks that you will be driving on today. In the past the land and some of these tracks have also been used by the local Rotorua 4WD club to test their skills during local events. 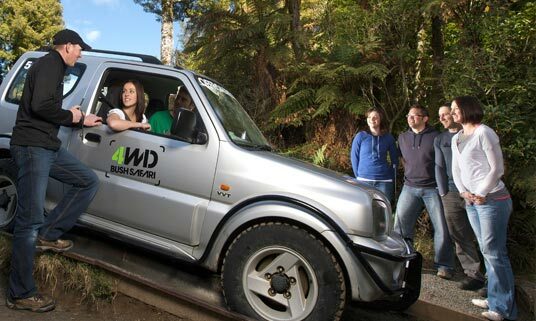 Off Road NZ’s 4WD Bush Safari is Rotorua’s ultimate 4WD adventure activity!